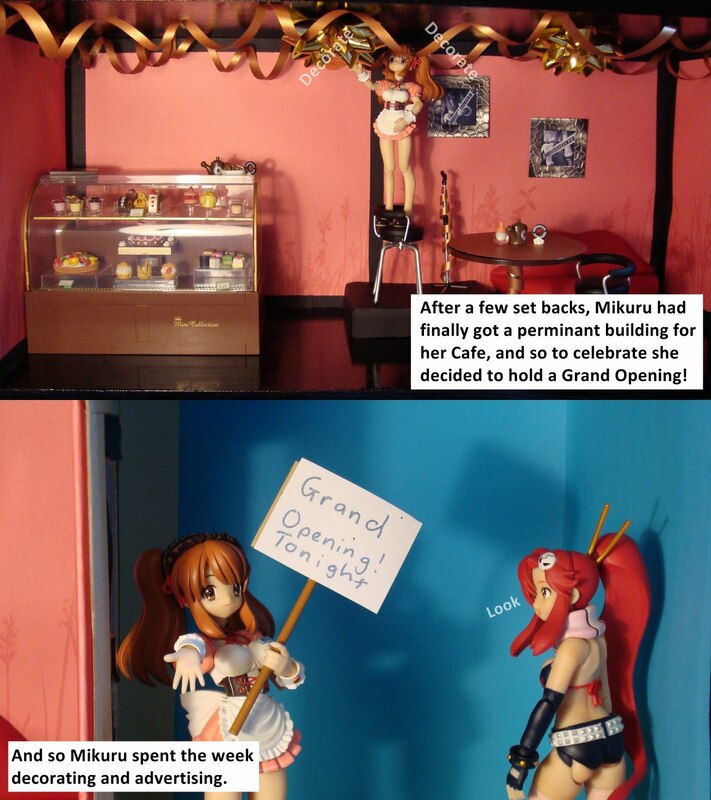 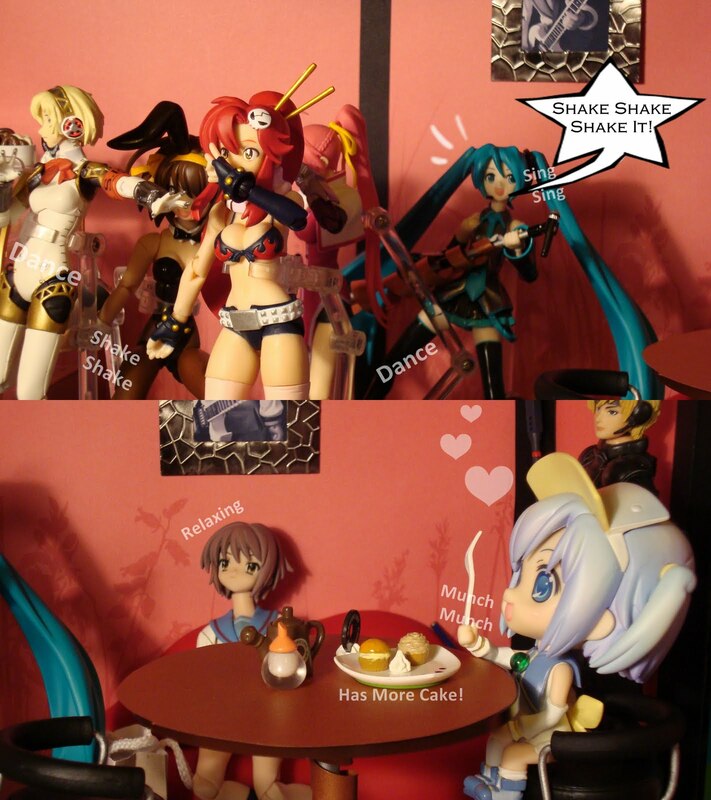 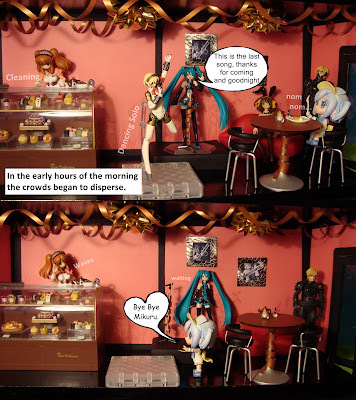 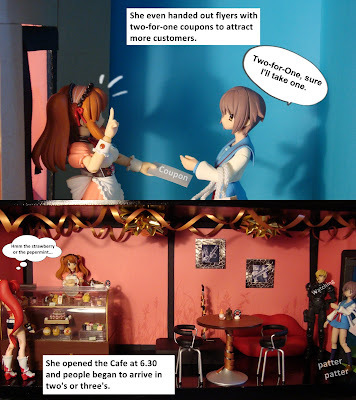 After the events of the previous episode, Mikuru had to find a new location for her Cafe, and in celebration decided to have a grand opening party. 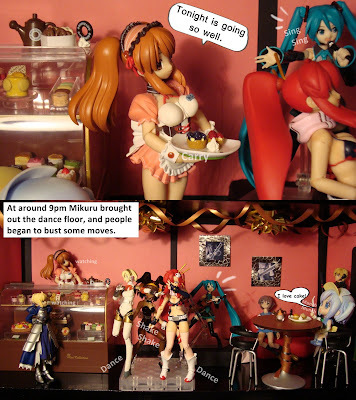 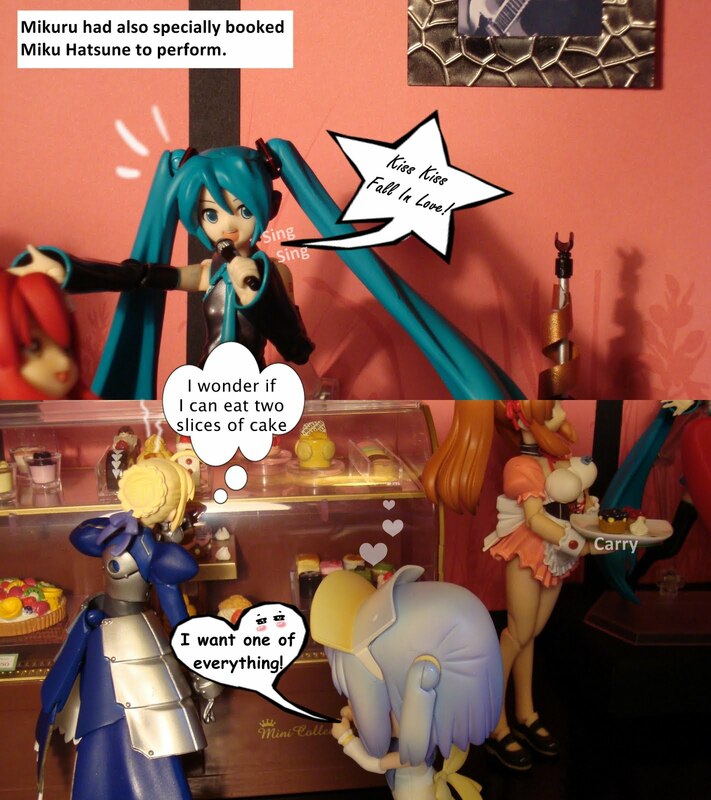 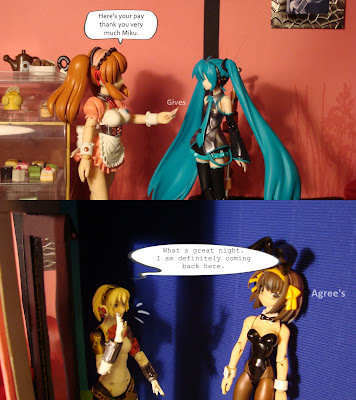 Party along with the figures in this episode of Figure Comic - The Grand Opening. Nice Story! 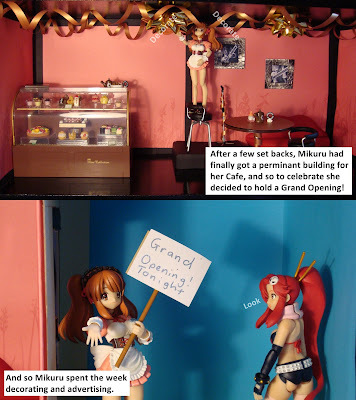 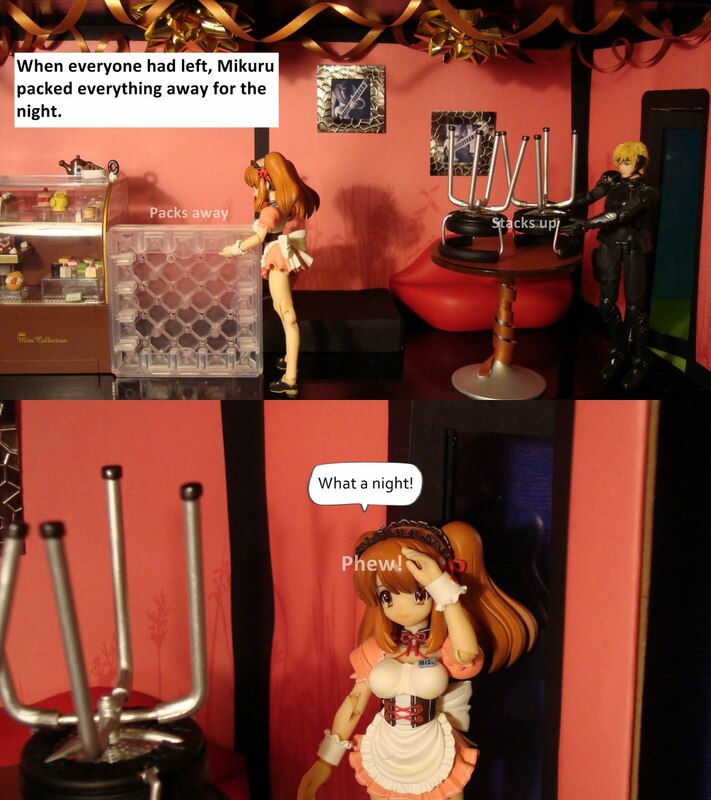 poor mikuru she had to work a lot!, but at least her cafe was popular at the end! 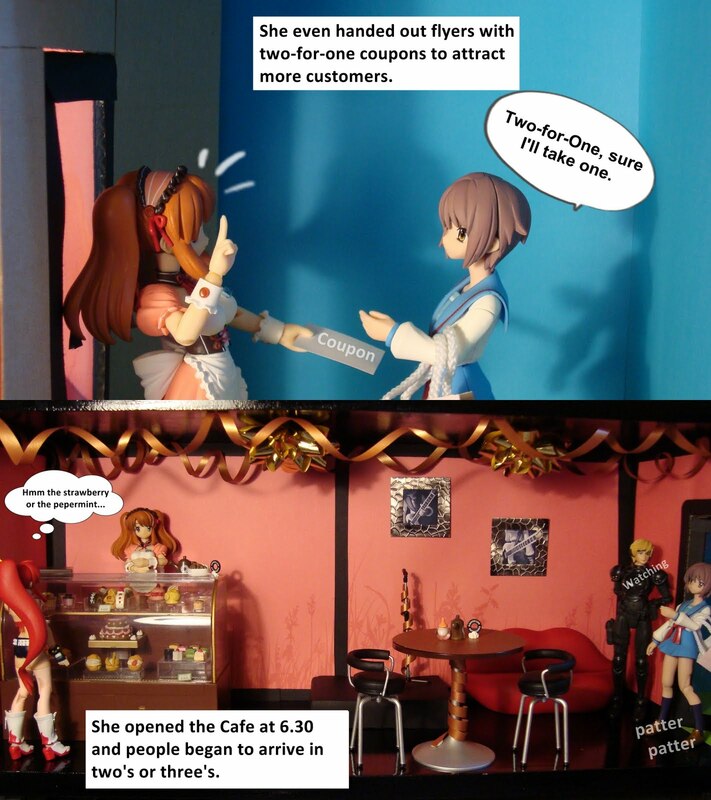 Where did you get all those chairs,and bakery things? 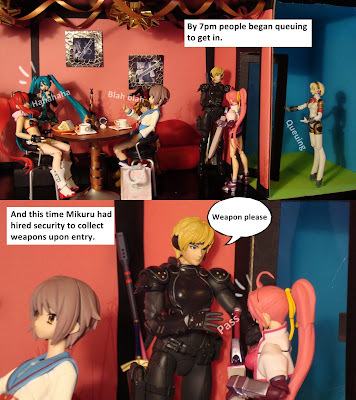 @ Lightoss - glad you like it, mostly I got them of ebay, are a mixture of Re-Ment, Megahouse and Reac miniatures.